This bathroom shelving unit offers great storage in shabby chic style. A versatile solution with handy towel staker, shelving and hooks. A versatile storage solution with 2 towel holders, basket style shelving unit that is ideal for holding those bottles, lotions and potions, all completed with 3 handy hooks on the bottom, great for holding towels and bathrobes. 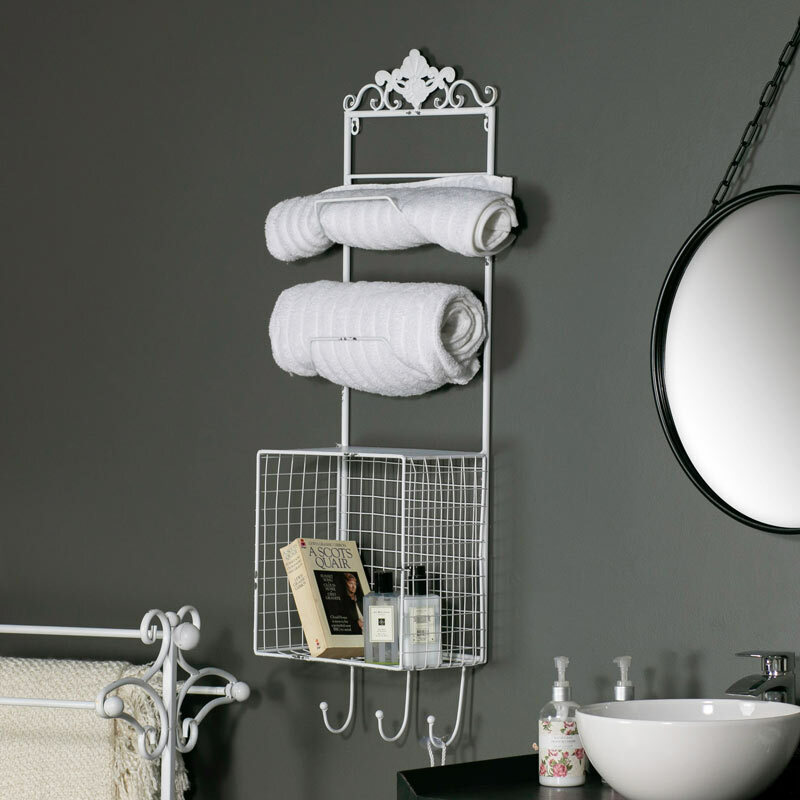 In a classic shabby chic style that will suit many interiors and help keep your bathroom clutter free. 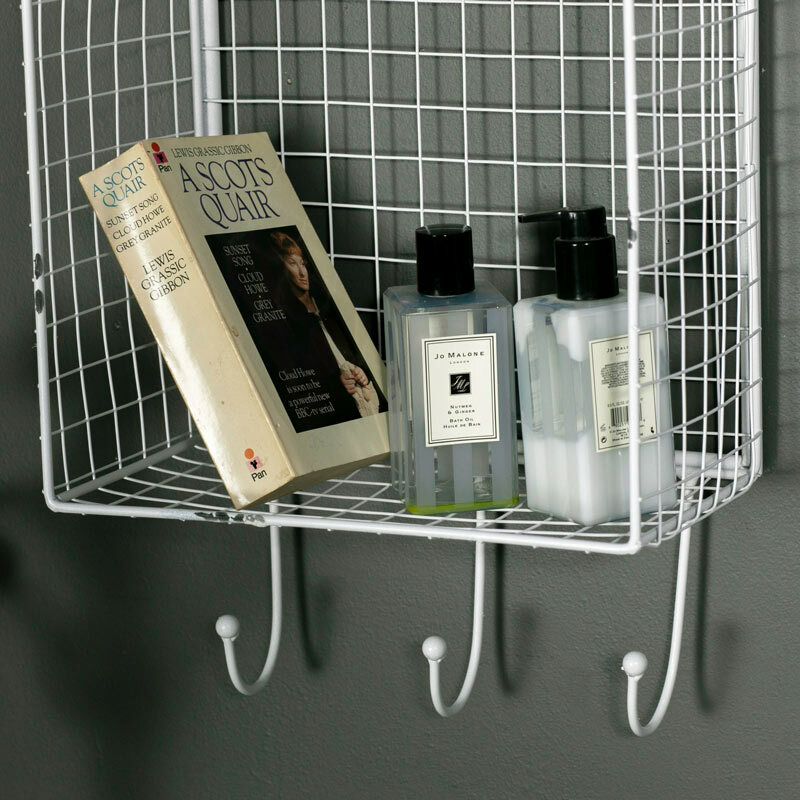 This bathroom shelving unit offers great storage in shabby chic style. A versatile solution with handy towel staker, shelving and hooks. A versatile storage solution with 2 towel holders, basket style shelving unit that is ideal for holding those bottles, lotions and potions, all completed with 3 handy hooks on the bottom, great for holding towels and bathrobes. 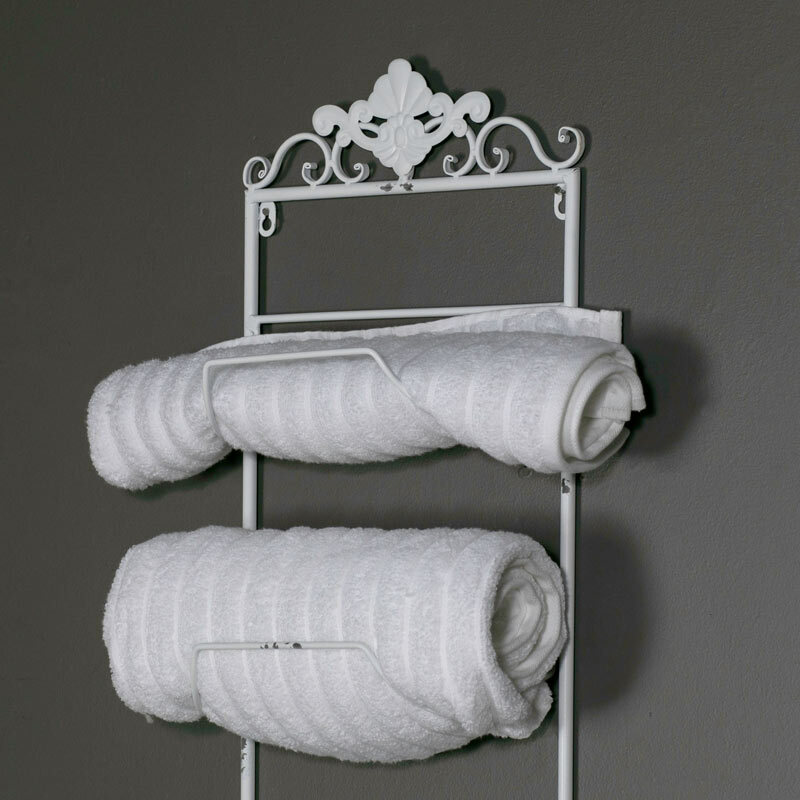 In a classic shabby chic style that will suit many interiors and help keep your bathroom clutter free. Made from metal and painted in a white finish, the shelving unit is easily wall mounted with 2 holes on the back for attaching to wall hooks or screws (not included). A great addition to our range of shelving and storage units. In a selection of sizes, colours and finishes to suit every interior.